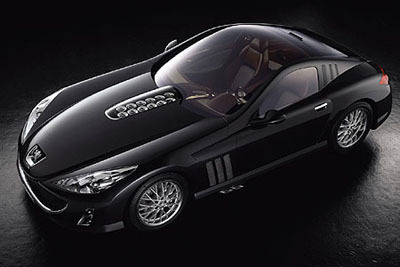 Peugeot's stunning two-seater 907 concept car has been impressing people since it was revealed in late 2004. The dramatic looking 907 is how Peugeot thinks the ultimate Grand Touring car should look and perform. While there is no indication that the 4.37 metre long sports car will ever go into limited production, the 907 highlights the creativity of Peugeot's design centre. 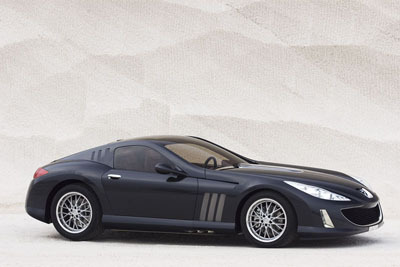 The 907 concept supercar was the last design to emerge from the Peugeot La Garenne styling studio before the design team relocated to Velizy. 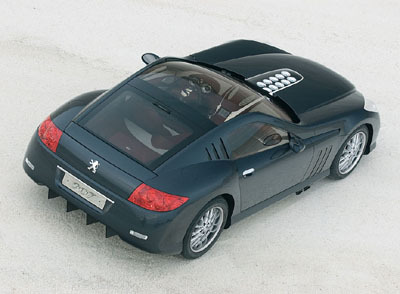 Through extensive wind tunnel testing, the Peugeot 907 has proven that it is stable at high speed, aided by a diffuser under the rear deck. The retractable rear spoiler is incorporated into the tailgate. And with its broad, low and leering grin, the front end of the 907 mirrors the bold styling of the Peugeot 407 production model.